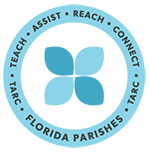 Passionate about TARC and its services? Have a knack for event planning and fundraising? Have a creative idea to raise awareness and funds for TARC? We need you! Please fill out the contact form below and we'll get in touch with you ASAP! We value the time and talent of our volunteers and look forward to working with you!